Getting home loan is the best way to ensure that your dream of getting your own house is fulfilled. And the best time of the year to apply for a home loan is during the festival season. Buying a house is a dream come true for many people. Getting a dream home is almost always on the top of every person’s priority list. It is an investment that pays off in the long term. Apart from being a great investment, a home is a way to meet your needs and fulfil your wishes. However, with increasing real estate price, it becomes almost impossible to buy a home entirely on cash. This is where home loans come to your help. Getting home loan is the best way to ensure that your dream of getting your own house is fulfilled. And the best time of the year to apply for a home loan is during the festival season. All the major banks in India come up with different festival bonanza offers that make it cheaper to get a home loan. The banks provide attractive interest rates and also at times waive off processing fees during festivals like Diwali. The real estate developers also come up with different schemes during festival season to attract more customers. Here is why you should take advantage of the festival season when thinking of applying for a home loan. Diwali is an auspicious time of the year. It signifies prosperity and abundance. Due to various beliefs and customs, people prefer to make bigger investments during this festival of light. Whether it is buying gold or investing in real estate, people wait for the auspicious day of Diwali. Therefore, banks offer a range of schemes and deals to make home loans more attractive. This include better interest rates that make home loans cheaper, waiver off on processing fees, faster processing, larger tenure, better EMI options and so on. Many banks also come up with ten days scheme where the bank is open on all days of the week to assist the customers in choosing the right home loan. 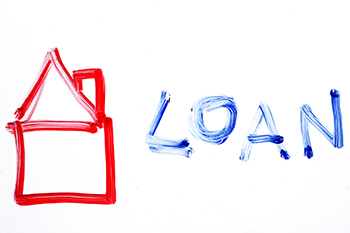 This is a great time to shop for your home loan, by comparing different offers from different banks. When it comes to providing incredible deals, real estate developers are not far behind the banks. To attract the customers, many developer offer incredible discounts as well as wave off fees etc. During Diwali, getting as huge as ten percent discount from the builders is quite common. After Diwali, most banks increase the home loan interest rates. This means that if you wait for applying for your home loan after festival, you may end up getting more expensive loan, with higher interest rate as well as fees. It is common for banks to provide different offers during festival season. The banks often combined different offers to provide an attractive deal to the customer. These offers may include free gold coins with home loan and so on. However, when shopping for a home loan during festival season, it is important to give more weight to three attributes, interest rates, tenure and fees. Look for different offers and evaluate them on the basis of aforementioned attributes. These factors will decide your monthly instalment that you have to pay even after the end of the festivities. Therefore, instead of getting sidetracked with the seemingly attractive offers, evaluate your options carefully to make a prudent decision.